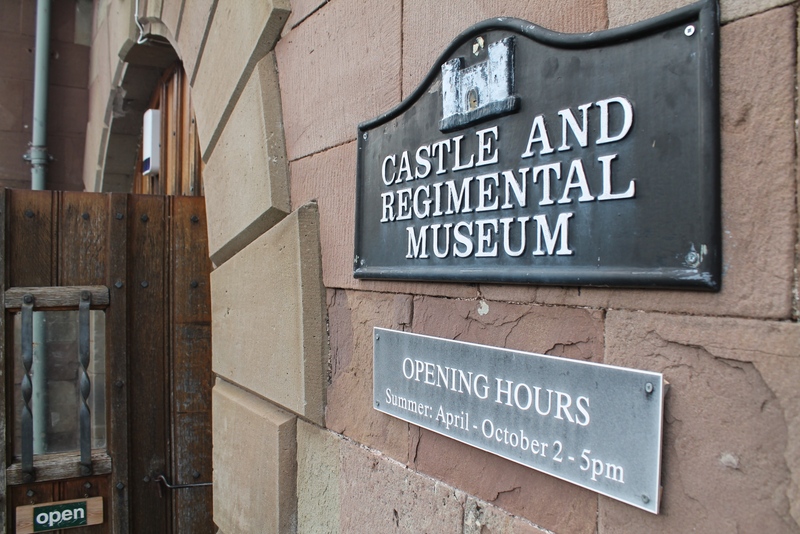 The Regiment is very proud to have its own Museum housed within its headquarters building, Great Castle House, adjacent to the ruins of Monmouth Castle – birthplace of Henry V of Agincourt fame. Registered with the Charity Commission (Number 274596) as The Royal Monmouthshire Royal Engineers (Militia) Museum, the Museum tells the history of Monmouth as a military centre from pre-Roman times to the modern day. The history of the Regiment is explored from its earliest recorded existence in 1539. Continuous service to the Crown since then means that it is the Senior Regiment of the Reserve Army. It has also always been a volunteer based unit recruiting from the local population and has an interesting story to tell from the English Civil War to the 21st Century. It is a wholly voluntary run Museum with no paid staff. It has achieved accreditation from all the relevant official bodies which is a great achievement for such a small museum. It is open on afternoons from April to October to welcome visitors. However it also has a very informative website (www.monmouthcastlemuseum.org.uk) with lots of links to other sources of information. We can open at other times for group visits. Please contact the Honorary Curator via the web site. There is a very strong Friends of the Museum group who support the museum both financially and with their valuable time. The Friends also run an annual dinner with a guest speaker. If you would like to join then please make contact via the website. We look forward to welcoming you to the Museum. Details of income, expenditure and a list of trustees is available on the Charity Commission website (here). This volunteer-run museum tells the story of The Royal Monmouthshire Royal Engineers (Militia) – from the starting point of a muster in 1539 – in the reign of Henry VIII – before firearms were in general use – and before there was a Regular Army. Over the years it became a Militia regiment, officered by the local aristocracy, to maintain law and order within the county. In the 19th century new police forces took over these duties, and the Regiment, disillusioned and keen to serve abroad, switched to a more useful role in the Royal Engineers Reserve. The Double Royal title soon followed. Through the years of the Territorial Army – as the only regiment to have survived from the Militia – and is the Senior Regiment of the Reserve Army. The museum’s display focuses on the Militia system and the Regiment’s links with the powerful Dukes of Beaufort, the local gentry, and Monmouth town. The Regimental Colours and the Freedoms of towns are on view, and exhibits recount the Regiment’s service in the Militia and the Boer War, and in the two World Wars, and more recent conflicts. Archaeological artefacts illustrate the earliest defences of Monmouth – and a small section deals with Henry V, the victor of Agincourt, who was born in Monmouth Castle in 1387. Mine clearance, the Home Front and Women’s roles, and HMS Monmouth are also featured.